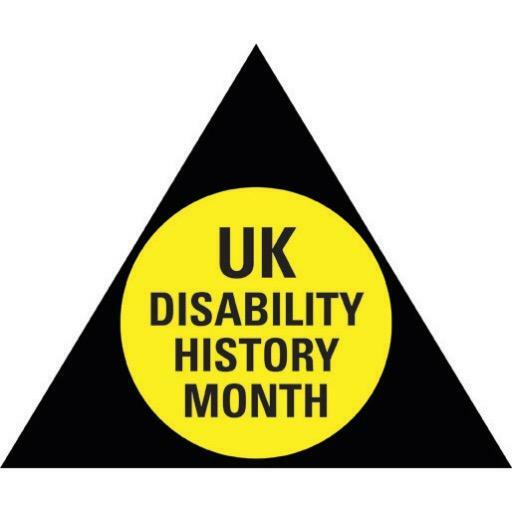 As today marks the start of UKDHM (UK Disability History Month from 22 November to 22 December), I sum up and reflect on my interview with Lorraine Gradwell, MBE. Known to many as a leading disability rights ‘veteran campaigner’, she has worked within the disabled people’s movement for over 35 years. Lorraine, now in her 60s, came to disability politics through her involvement in paraplegic sports – particularly the Manchester Disabled Athletes club in the 1980s. GMCDP was instrumental in creating positive change for disabled people both in Manchester and throughout the UK. Lorraine was their Deputy chair, then Chair, then development worker and eventually their first team leader in 1987. She was later CEO of Breakthrough UK (1997 – 2013). Though now semi-retired Lorraine is a Member of the co-production group at Coalition for Collaborative Care. 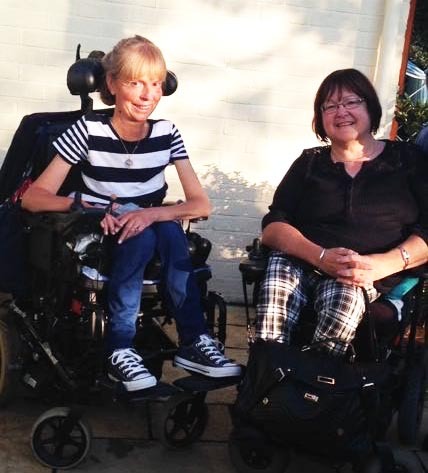 In her role as GMCDP’s team leader, Lorraine campaigned around a number of issues – the Disability Discrimination Act, the role of big charities, independent living and accessible transport. She also helped to set up the Equalities Unit in Manchester City Council. 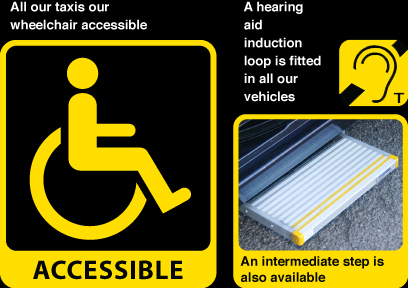 Lorraine and her team’s lobbying made Manchester the first city with Black Cabs that were accessible to disabled people. Campaingers persuaded Manchester City Council that one hundred new licenses were to be issued to Black Cab licenses on the condition that the cabs were made accessible. 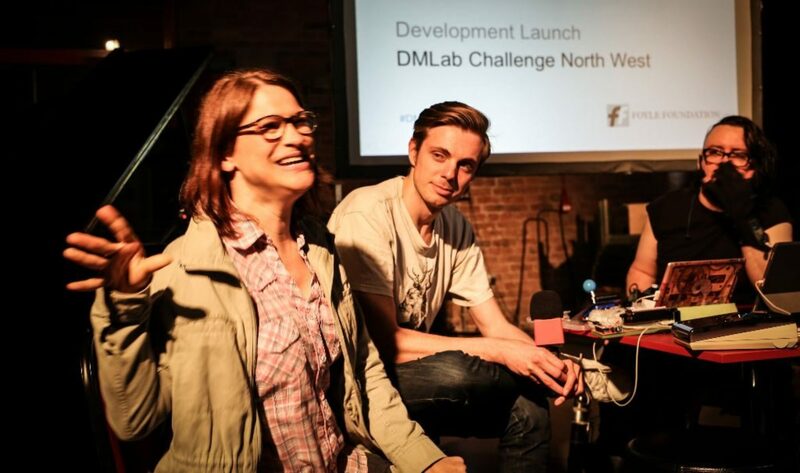 She also worked with Greater Manchester Housing Disability Group and the academic June Maeltzer, to set up the first informal independent living scheme. June worked with the Irwell Family Housing Association to get an agreement that the funding for ‘local authority carers’ would go into a trust that was managed jointly between her and the Irwell HA. At that time, it wasn’t legal for a local authority to give funding directly to an individual, whether they were disabled or not. June was one of the first users of direct payments – before the legislation was even in place. With pioneers like Lorraine, Neville and June, Manchester was building a strong reputation as good place to live if you were a young disabled activist. Lorraine and I discussed the contrast between the ‘rights based’ campaigning of last twenty years, and the current ‘benefits based’ campaigning. Lorraine can see why campaigns around benefits and austerity are needed, but feels they need to focus more on societal structures, rather than disabled peoples perceived vulnerabilities. She doesn’t think that it’s helpful for a movement to be making their ‘vulnerability’ a central plank of their campaign – it’s better to talk about our fundamental rights and the need for those to be addressed. For me this has a particular resonance as my current photography project, Hanging in the Balance, is about being made vulnerable due to the current austerity measures. – in this context is it OK to embrace and focus on our vulnerability? In the area of employment, for example, she says the perceptions around disabled people have taken a massive turn for the worst. During her role as Chief Executive of Breakthrough she sat on the Disability Employment Advisory Committee – a government body that focused on matters to do with disability and employment. The ConDem Coalition immediately disbanded those types of committees, with no real replacement. This represented a change in ideology, and the shrinking of the public sector – which has had a massive knock on effect on disabled peoples’ organisations. Lorraine points out that Breakthrough’s ethos was very much around providing the support to disabled people who could work, not about forcing ill people into work. The current government doesn’t seem to understand the relationship between being disabled and work. She feels that the way disabled people get portrayed as being either a burden or a scrounger is nothing more than a big scapegoating exercise. This, she feels, is very dangerous particularly alongside the whole push towards assisted suicide and the creeping privatization of the NHS. Assisted suicide fundamentally changes the relationship between doctor and patient overturning two thousand years of the Hippocratic Oath – do no harm. She recalls reading about a woman in Oregon being refused cancer treatment by her insurance company because it was expensive, but they said she could have assisted suicide because that was cheaper. A health service driven by financial decisions and what would be cheaper is not about helping people at all. From NHS provided health to access to work schemes, disabled people are once again fighting at the front line. 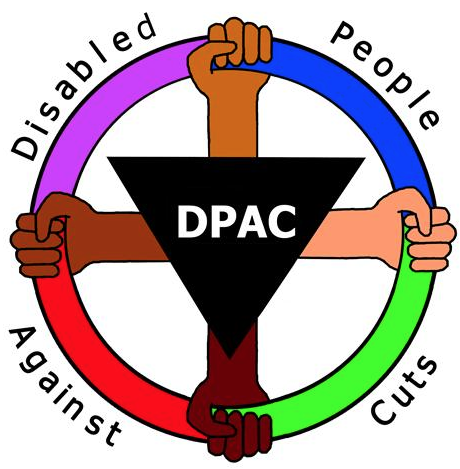 Though the recent cuts may have had a direct impact on the capacity of both Breakthrough UK and GMCDP, they both continue to campaign, and provide much needed support for disabled people. I am aware of criticisms levelled at veteran campaigners from younger disability rights activists, but perhaps rather than blaming them for perceived failings within their campaigns, we should champion them for their drive and continued commitment to ongoing change and to keeping discussions about disability rights on the political agenda. Lorraine Gradwell’s book of collected works ‘A Life Raft in a Stormy Sea’ is available to purchase online. Original post written in 2015. Sadly, Lorraine Gradwell died on the 3rd September 2017. On Saturday 3rd March 2018, Jackie Driver, Chief Executive of Breakthrough UK, and Jenny Gradwell, Daughter of the late Lorraine Gradwell, launched the Trust Lorraine Foundation. The Foundation is a joint project between the Greater Manchester Coalition of Disabled People (GMCDP) and Breakthrough UK to increase local disabled people’s representation in elected office.